Smile with confidence! Replace one or several missing teeth using dental implants, a solution that’s allowing more and more patients to avoid the discomfort of dentures. Our team uses only proven biomaterials, in compliance with quality standards. With more than 15 years of experience in the field, we carry out all treatment phases in the clinic for your convenience. Ask us for a complete evaluation of your needs. 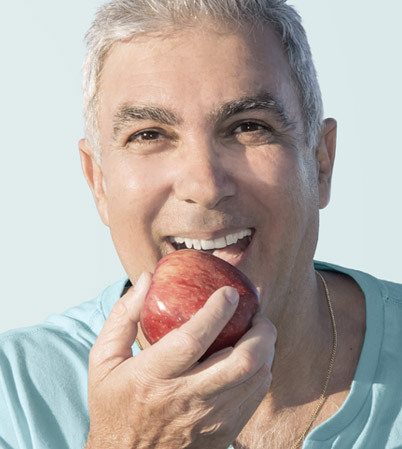 When you opt for dental implants, you’re choosing to improve both your health and your quality of life.